SAFE & EFFECTIVE INGREDIENTS like Pure Camphor, Blended Natural aroma oil, Mustard oil, mineral vegetable oils and Organic Beeswax deliver targeted benefits. HERBAL BALM. NO WATER, NO ALCOHOL, NO CHEMICALS OR STABILIZERS. Herbal Rub with Aromatherapy Benefits. No petroleum by-products, No Harmful Preservatives, No Artificial Colors, No Artificial Fragrances. I had spondylitis pain for many months. I applied various creams available in the market but could not get relief. I bought ‘Shashvi Remedy for pain’ ointment and rubbed for about 90 seconds. After one application, I was surprised there was no pain. I shared my experience with my wife and she also applied ‘Shahsvi Remedy for pain’ as she was suffering from back pain. She also experienced immediate relief. 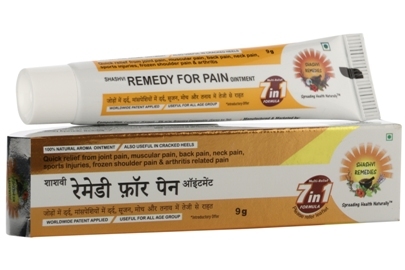 We rate ‘Shashvi Remedy for pain’ as the best pain management ointment. I had severe pain in my wrist. 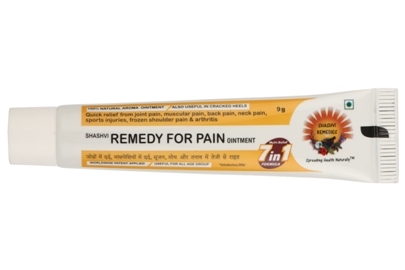 I applied and massaged ‘Shahsvi Remedy for pain’ ointment for about 1-2 minutes and the pain was gone. It’s magic. 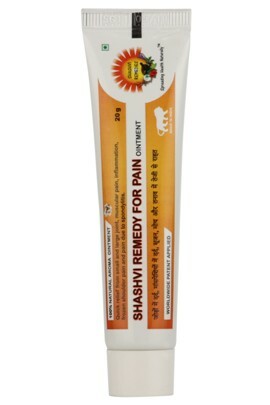 I recommend ‘Shahsvi Remedy for pain’ ointment to others to use for their benefit. I am an IT professional. I used to work on computer most of the time, due to which I had pain in my fingures. I rubbed ‘Shahsvi Remedy for pain’ ointment for a few minutes and pain in my fingures was no more. Thanks to ‘Shahsvi Remedy for pain’. I rate the product as the best. I am a high diabetic patient. I could not walk much due to pain. I had body pain, specially in my legs, knees and shoulders. 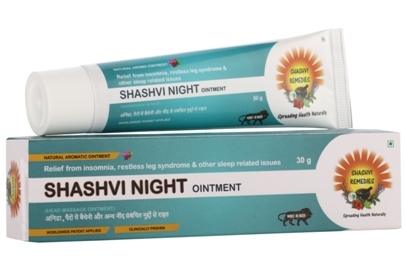 My son massaged both my legs from sole to knee and shoulders with ‘Shashvi Remedy for Pain’ ointment before sleep. At morning I could walk for longer, which helped me in maintaining diabetes and physical fitness. 3 years ago, my middle finger got injured while lifting a heavy machine. I had critical pain in my finger and not able to bend it. I applied various pain creams such as Iodex, Volini etc. in last 3 years, but I did not got relief from pain. One day I was introduced to ‘Shashvi Remedy for pain’ ointment and rubbed for 90 seconds. I was amaze to see the results, I could easily bend my finger and got substantial relief from pain. 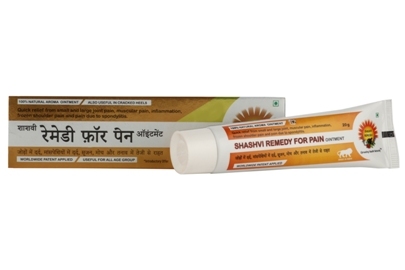 I recommend everyone suffering from pain should try Shashvi Remedy for Pain. 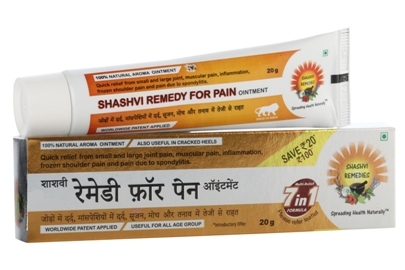 Now, all the family members are using ‘Shashvi Remedy for pain’ ointment. I am a tennis player. I regularly play tennis. I had tennis elbow pain. It was so severe that I could not touch the pain area. My friend introduced myself to ‘Shahsvi Remedy for Pain’ ointment. I applied and massaged the ointment for about 2 minutes. In 1 application I got substantial pain relief. 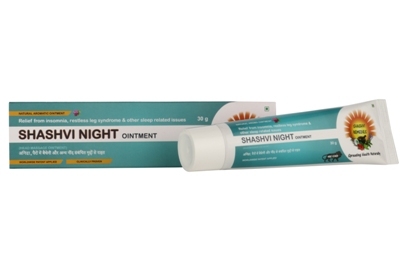 This tennis elbow pain was 1 year old, I am sure to recover completely from pain with the help of ‘Shashvi Remedy for pain’ ointment. While playing in school I got sprain in my leg due to which I had pain while walking. My father applied ‘Shashvi Remedy for pain’ ointment before sleep and covered the leg by crape bandage. In morning, my pain was vanished and I was walking freely. I called it ‘Magic cream’. Thereafter, I am regular user of Magic cream = Shashvi Remedy for Pain. Excellent yet pure herbal products are the result of design thinking and utter ministration. The obsession with the purity and natural healthcare has incarnated the Shashvi Remedies. 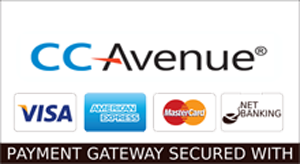 Born in the year 2016, we have been offering absolutely safe, pure, and highly effective solutions for our customers.